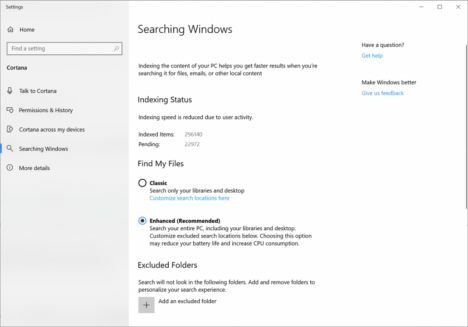 When the indexing is complete, you’ll be able to find all your files almost instantly when you use Windows Search. To exclude a folder from search, add it to the Excluded Folders list. Thanks for your feedback about search and the indexer. These improvements were made because of your input.